Rallies held throughout the country over the weekend drew tens of thousands of Australians clearly worried about the threat of climate change and government inaction. During the week, key government adviser Professor Ross Garnaut released a report recommending the establishment of a board to advise the government on targets for carbon emissions and a $26 per tonne price on carbon. Prime Minister Gillard has begun wooing the key players likely to be impacted by any tax changes including, of course, the enormously powerful mining lobby. Bets are being laid on the ultimate price of carbon emissions and most are on something like a ridiculously cheap $20 per tonne. The public is being pounded with the “it’s better than nothing” message. Some are saying if the mark were set closer to $40 or $50, then a carbon price would have some effect. Most agree that it’s better than the Liberal’s lame, essentially do-nothing package of “direct action” measures to encourage carbon sequestration in soils, etc. But is the present government policy better than nothing? Is a price on carbon the only possible policy in the current circumstances? What would the Communist Party of Australia (CPA) do as part of a people’s government that had some control over cleaning up this mess created by largely unfettered, reckless corporations? 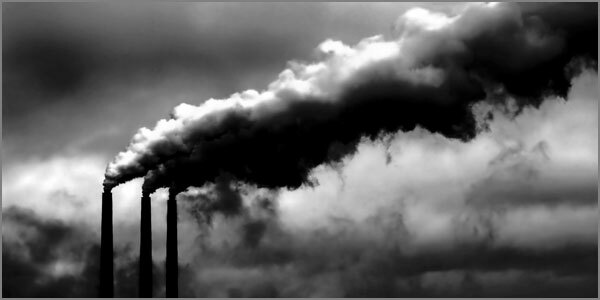 A price on carbon is a neo-liberal policy based on a faith that markets produce the best economic and social outcomes. This faith has been maintained despite the glaring evidence around the world that these profits-first policies are causing untold misery. Blind trust in capitalist markets is what got us into this crisis in the first place. Over 70 countries now have a price on carbon and carbon trading but still the climate emergency is worsening. The Gillard government sees a price on carbon as a first step to an Emissions Trading Scheme that would allow corporations operating in Australia to buy the “right” for increased emissions from desperate developing countries whose people would be forced to forgo opportunities to industrialise and lift themselves out of poverty. The social justice issues involved in such a scheme are simply not being dealt with in the current debate. “The present environmental crisis has been described by some as a ‘common crisis’, so serious that it transcends politics, is affecting all equally, and demands the submerging of class struggle in the interests of the ‘common good’. The crisis is common to all who live on Earth, but in the current conditions it does not affect all equally,” as the CPA’s 2009 Congress Political Resolution pointed out. “Those who are aware of the dangers and oppose them do not yet have the power to take control of the situation. Those whose actions have contributed most to the problem represent the dominant section of capital, and they show little inclination to change their present course towards disaster. In fact they have engaged in an extensive campaign to conceal their responsibility for the climate emergency from the peoples of the world. “The environmental crisis has been largely created by the rapacious exploitation of the Earth’s resources by the capitalist ruling class. Ignoring present warnings, it continues to aggravate the crisis with a callous and reckless disregard for the consequences of its activities. The need for a sustainable environment is overpowering ... If all the world’s nations are to enjoy an equitable standard of living, the consumption of material goods in the developing nations will have to rise, but the level of material consumption in the developed nations will also have to fall. “This will not necessarily involve a fall in the general standard of living in the developed nations, because that standard is not determined by material goods alone. In future their economies will need to place a far greater emphasis on service industries, including education, culture, health, recreation and welfare, and will also need to focus far more on efficient use of resources, recycling and renewable industries,” the Resolution continues. A price on carbon of $26 or $20 per tonne would make no contribution to these long overdue social and economic changes. The amounts being quoted for tax rebates or tax cuts for Australian workers as recompense reveal just how little change is being anticipated. On the other hand, hefty compensation to big polluters and “trade exposed industries” is being planned. Professor Garnaut says that the $11.5 billion he expects would be collected in the first year of a regime levying $26 a tonne could also be used to support innovations in emission reductions. Why would polluters bother adopting these innovations or moving to sustainable energy sources if they were being paid to carry on business as usual? It won’t happen. A $40 or $50 per tonne price on emissions might force some industries to embrace less polluting technologies but their strongest inclination would be a “work-around” – put pressure on the government for exemption or more compensation. “Jobs” would be the excuse but profits would be the real motive. Rather than being relegated to overseers of monopoly dominated markets, governments have to get “hands on” with these questions. Public enterprise directed to socially useful ends, such as the development and deployment of sustainable energy sources, will have to be built. Where will the money come from? Let’s start with a genuine super profits tax on the massively polluting resource sector; strip those corporations of the diesel fuel rebate that was intended to go to farmers and other primary producers to ensure our supply of food and fibre. We should act on the wishes of a solid majority of Australians and withdraw our troops from Afghanistan. We should take an axe to the staggering $32 billion “defence” budget – that’s $87 million each and every day! We can’t expect such measures from governments committed totally to the alliance with US imperialism and in the pocket of industries like coal and uranium mining. We have to campaign as if the planet depended on it (and it does!) for better policy, even in the current right-wing political environment, but only a government of a new type comprised of left and progressive forces including the CPA will bite the bullet and take the appropriate steps back from the brink. The challenge of building those forces and forging their unity is urgent.